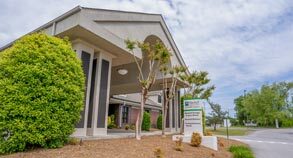 Get on the road to fitness and wellness, just down the road at Marshall Medical. TherapyPlus offers comprehensive fitness and wellness programs at two convenient locations, one at the Marshall North campus and one at Marshall South. Our facilities include the latest equipment including aerobic equipment, free weights and machines, and a variety of classes. We also offer the only indoor swimming option in the county, with Olympic-size pools at both North and South for aquatic-based workouts. When you’re getting in shape, give yourself every advantage – and plenty of options. TherapyPlus gives you the latest gear and lots of it, plus two convenient locations, a wide range of classes, and experienced staff to help you start smart and stay strong. We also offer the only local fitness centers with swimming pools. Put your workouts in motion at TherapyPlus, and get a real leg up on fitness.